In this April 19, 2015, file photo, Kevin Spacey gives a speech at London's Old Vic Theatre for a gala celebration in his honor as his artistic director's tenure comes to an end. Vertical Entertainment announced that it will release "Billionaire Boys Club" on video-on-demand on July 17 and in theaters August 17. 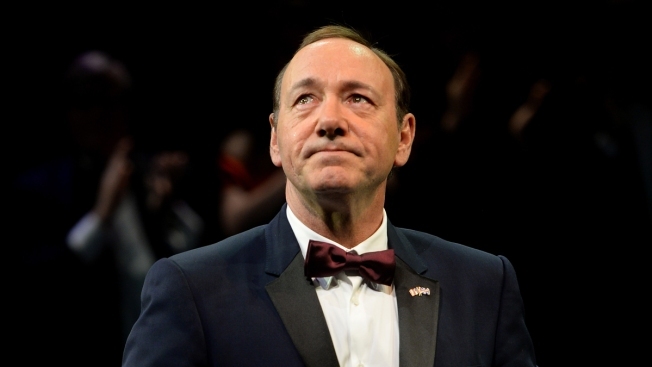 "Billionaire Boys Club" was shot in 2015, before Spacey was accused last fall of sexual assault. Netflix scrapped a Gore Vidal biopic starring Spacey. Kevin Spacey was erased from "All the Money in the World" and booted from "House of Cards," but a movie starring the disgraced actor is going forward with a summer release.